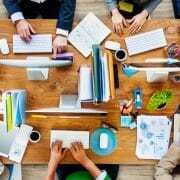 When working in an office space, germs and bacteria are inevitable. This is because there are usually so many people coming in and out. That’s why the more things you can do to keep your office clean the less you run the risk spreading those horrible germs. So today we’re discussing ways you can deep clean your office space using a few inexpensive cleaning tips. Having disinfectant wipes around in various places is a great way to keep up on your deep cleaning at the office. Leave them in places like the bathroom, the kitchen, or in a closet so that employees can access them easily. You can get cleaning wipes in bulk at stores like Costco and Sams club. The best thing about disinfectant wipes is that you can use them to clean virtually anything. They can help you clean an office desk, the kitchen counters, the appliances in the kitchen, or even wipe down the bathroom. It doesn’t hurt to place notes in certain areas reminding employees to help out with cleaning when they can. Think of it as a friendly reminder. Instead of just reminding them to wash their hands in the bathroom, remind them to put their dishes away or help wipe down the counters before they leave for the day. You can also use this opportunity to create a weekly routine at the office and remind employees to complete certain tasks before the week is up. Tasks like making sure all the trash is in a designated area or even taking a swifter to the bathroom. No matter what the size of your office is, having a community bin for eco-friendly cleaning products never hurts. With this idea, employees will enjoy doing their part in bringing in cleaning products from their home. It’s a great way to get them more involved in deep cleaning the office. This is also a good place to keep your cleaning supplies so that employees have easy access to them. That way cleaning won’t be such a hassle and they can get it done quickly and get back to work. Just like you should keep disinfectant wipes handy, you should also keep a few bottles of duster around. This way you can easily spray down all computers and keyboards to eliminate the dust buildup. Keep a bottle at each desk for each employee to dust off their electronics once a week. Though this doesn’t prevent your toilets from needing a good deep clean at least once a week, it does help keep them clean in the meantime. And it keeps them cleaner longer which makes it easier to clean them when it’s time to do a deep clean. For complete cleaning, it might be best to outsource the service to a facility service provider. Here at Shine Facility Services, we take pride in our janitorial services. Our facility management team is dedicated to providing you with the utmost customer service. We go above and beyond the norm, and provide hard floor surface care, carpet cleaning and more. We offer a wide variety of green cleaning services to help fit the needs of any business. Contact us today for a free estimate to see how we can help. That’s why it’s essential that you find a company that specializes in tech when searching for the perfect office cleaning services partner. When it comes to your floors, desks, windows and more, it’s usually simple to find the right cleaning solution and get to work. With technology, however, things become a bit more complicated. What’s the best solution to clean things like cables and computer screens? What about keyboards? Our cleaning service team has been specifically trained to clean almost any piece of sensitive equipment you can imagine. These days, green cleaning play a significant role in business development. More and more people are realizing the benefits of ditching harmful chemicals and using products that are safe not only for the environment but also to the employees. The safest cleaning solutions are free from parabens, dyes, and additives. Our team uses products that are not only eco-friendly but also highly effective at eliminating bacteria and viruses through special enzymes and other naturally-based cleaning agents. It’s simple enough to wipe down a desk, but it starts to get complex when you are talking about places like windows, floors, breakrooms and air vents (a favorite hangout for harmful bacteria). Our commercial cleaning team handles the cleaning for all these places, doing it in a quick and thorough manner while also ensuring that the office looks immaculate. What makes tech startups an exciting environment, is that they don’t work the traditional 9-5. With innovative ideas and a vibrant work culture, we know flexibility is one of the most important things when considering office cleaning services. Our team can work with you to find the times suitable for your office’s schedule. You can decide whether you want our services in the middle of the day or the middle of the night! We can also help you with cleanup after large events, spring cleaning, and parking lot maintenance. No matter when you need office cleaning services, we can be there for you! Tech startups are changing the way the world works. 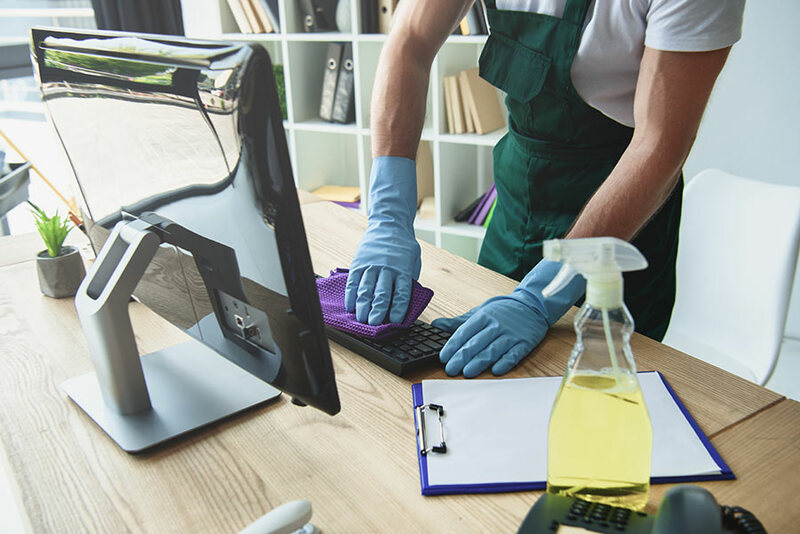 With constant innovation, these types companies need someone behind the scenes to make sure their office is clean and bacteria-free. Our eco-friendly cleaning team is here to provide you with professional janitorial services and cleaning practices to suit your company profile and needs! Get in touch with our customer service team to inquire about our janitorial and facility management services, which include floor cleaning, carpet cleaning, general repairs, painting and more.